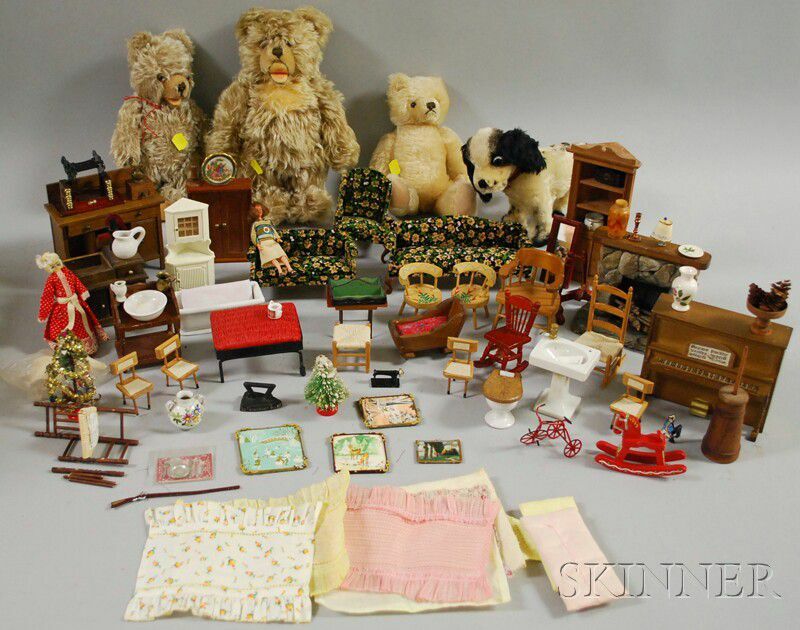 Four Steiff Mohair Animals and a Lot of Dollhouse Furniture and Accessories, mid-20th century, one jointed pale blonde bear, and two jointed Teddy Babies, ht. 9-11; cocker spaniel with jointed neck, lg. 8 in. ; miscellaneous dollhouse items.